A shock came to Dr SP Jayant, MS of one of the most prestigious tertiary hospitals of Delhi- GB Pant hospital, when he received an office order from the Delhi government stating that a new M.S shall be appointed in his place. Moreover, the office order also stated that he shall remain as CMO (SAG) in the same hospital till further orders. It had indeed left him wondering what had happened. Dr SP Jayant is just 5 months away from retirement. When recounting what could have gone wrong, he could immediately recall an incident going back three, four days ago. Later in the evening, the patient was again brought back to GB Pant hospital where the attending Resident doctor attended to the patient and again due to non-availability of ventilator support bed sent the patient back to LNJP hospital. This incident was also accompanied by display of aggression by the attendants towards the doctors. A few days later, Dr Jayant is no longer the MS of G.B Pant Hospital. Although transfers of MS is a routine policy of Delhi government, questions may be raised as to why a senior doctor is removed from his charge without any clear intimation. 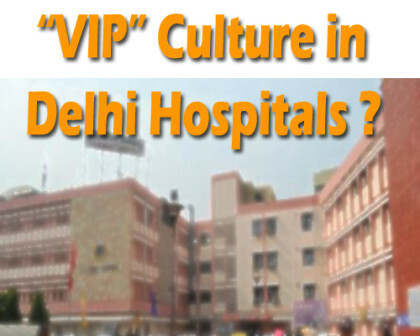 A few days earlier, Delhi health minister had stated that his government is against the notion of ‘ VIP culture’ in the hospitals, yet as per the narration of government doctors, this policy has still not come under practise. Speaking to Medical Dialogues, Dr. Jayant said that post this incident he would not even like to become MS again at the hospital as he is tired of VIP people interfering in the functioning of hospital policy of admission of patients. Dr Jayant will be followed by Dr SUNIL. M. RAHEJA as the new MS of G.B Pant Hospital. Medicaldialogues just one question from U. Did u enquired about Dr. Jayant reputation? Don't he do the same with his juniors? Transferring them just because they filed an RTI or raised a qs? Does he know that there is neuro surg emergency in his hosp or not? Is he doing his work properly? Don't become puppet for others. Who can use multimedia for their benifits. I hope u should know everything about both parties before giving ur comment or support. Think wisely as world is small and especially medical field. At Medical Dialogues, we are providing a NEUTRAL platform to all the doctors to come and tell their stories and experiences of being in the profession. As experiences go, some are good and some are bad. If you have any opinion related to the medical profession, feel free to express it here. We do not show any bias!